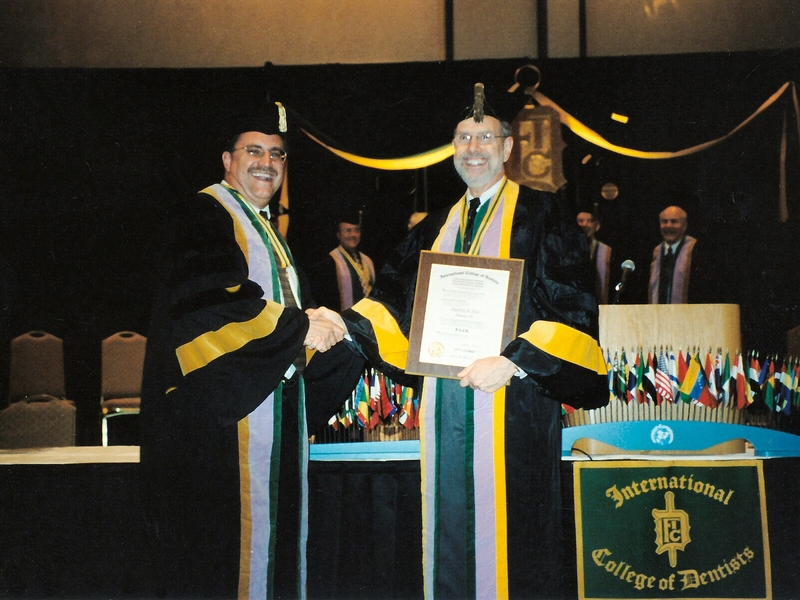 The International College of Dentists (ICD ) is the oldest and largest international honor society for dentists in the world. Membership in the College, signified by the honorary title of Fellow of the International College of Dentists is by invitation only. A nominated dentist must pass a rigorous, peer review process leading to the recognition of the individual’s “outstanding professional achievement, meritorious service and dedication to the continued progress of dentistry for the benefit of humankind.” The honor is bestowed upon those dentists who have made significant contributions to the profession, their community, and successfully completed the thorough peer review process. In the United States, only 3% of dentists ever receive this honor.